Engineers talk about tolerances, the degree to which a component can vary from a specification – and also whether that is plus, minus or ±. These two things, the specification and the tolerance, are the very definition of standards. The finer (smaller) the tolerances, the finer the standard and the greater the precision. Simple. But the standard is the standard, and the tolerance is the tolerance, regardless of the degree of precision. And here, I think, lies the problem. When people hear or see the word “standards” they automatically add the qualification “high”, or even “very high” even if it isn’t there. But let’s be clear, even if you buy things off the shelf, they have been made to a standard: to ensure maximum sales potentials, track will have defined standards for gauge and flangeways, and wheels will have defined back to back and flange profiles. These can be defined in various ways, such as “track gauge equals check gauge plus flangeway” and “back to back equals check gauge minus glance width”, but the point is, by buying off the shelf, a modeller has already implicitly accepted these standards, albeit unknowingly in many cases. Finescale is about accepting the degree to which perfection is unattainable. Whilst “exact scale” may be used to set an accurate track gauge, etc, the physical world of engineering tolerances means that is not fully achievable. This is liberating, as it points to the need to allow for a degree of imperfection. Finescale is therefore all about setting standards: not just for track and wheels, but about everything: level of detail, contemporaneously correct details, etc. It’s an attitude of mind. This acknowledgement and definition of standards is the definition of how we wish to achieve our aims. And the measure of success is gauged against these standards. And this is where the pitfalls lie and misunderstandings arise. This is an entirely personal and individual choice: what works for me may not work for you. Similarly, not consciously adopting or defining standards is a perfectly feasible alternative: if buying off the shelf works for you, then by all means do so, but please don’t think you have avoided having standards by accepting someone else’s. The fact that I have defined my personal standards does not mean I think I am in any way “better” than anyone else. It’s just my way of doing my hobby. If you resent my active choice of standards, that’s says nothing about me but a lot about you. Working to a tighter degree of tolerance takes more time. I might achieve “less” in terms of quantity, but that’s not what I want. This in no way contradicts the “good enough” concept: it is entirely congruent with it.. I am not building an operationally-focused “basement empire”, so replacing cast details is fine by me: that’s how I enjoy my modelling. If I had the space and desire for a large operations oriented layout, I would be using RTR equipment, modified, repainted and weathered to be sure, but everything would be subordinate to the aim of creating that dream, which has to be balanced against the time I have available. As a corollary to all the above, what works for you in your circumstances probably won’t work for me in mine, so please don’t force your secret of success on me, or tell me that it is the only way to happiness. Fundamentally I get more from satisfaction than from fun. This takes more time, but is much more enjoyable. This post, and the last two, was inspired by Mike Cougill’s recent post on inspiration, whose wonderful blog continues to a haven for the sane, rational and thoughtful amongst the hobby. This entry was posted in Finescale, Modelling, Opinions, Thinking on October 19, 2018 by Simon. …as I suggested in my last post. This entry was posted in Finescale, Modelling, Thinking on August 20, 2018 by Simon. Well, part one of the annual year-end festival is more or less over, and I must admit to having availed myself of the armchair and a good book or two, which is where I come in. I was delighted to see an advert for a new Wild Swan Publications book on operation, for it has been written by Martin Nield and I have always enjoyed reading his articles about his P4 layout, “Eccleston”. And the price was reasonable, too. Unfortunately, I felt that the book stopped short of being a useful addition to the modeller’s bookshelf, and I think that is a reflection of the price (rather than the price being a reflection of the book). Why? In short, it is too superficial, and I felt slightly patronised at times. A slightly bigger book, with more pages and which recognised the self-selecting nature of the likely readership (finescale railway modellers – i.e. those who want to get things as authentic as possible) would have been a lot more. To be fair to Martin, what follows is feedback that he should have received at the editing phase, and reflects on the publisher/editor, and is not directed towards him. I’ll take the latter point first. Chapters are split into what the prototype did, and what the modeller can do. So far so good. But early on, the author takes a step back and says that this is not a book which dictates to you how you should operate your own model railway. But if you are interested in authentic operation of a UK steam era (and early diesel, for that matter – into the 1980s and beyond in some places) then that is precisely why you would buy the book: to find out how the real railway operated, so that you can learn how to interpret the rules and practices, and see an example worked out before you. This tentative tone creeps in now and then, and made me feel like I was a child with tender feelings who must not be hurt. Superficial? There needs to be more depth, even if it is of specific examples as applied by Martin to his excellent layout (which I was aware is still a work in progress, as indeed the author does point out). This also leads to some sketchiness of important details. 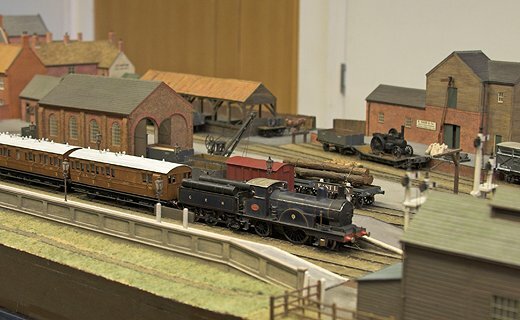 As he is familiar with the prototype, Martin generally draws on inspiration from the Lancashire and Yorkshire Railway, and in particular from some of its branch lines. As he remarks in the text, it was a very “busy” railway with a lot of traffic and many of the branchlines were built with double track, allowing for separation of up and down trains and therefore a more intensive service, and also removing the need for single line operating procedures which were so common on other railway’s branches. Examples are provided of some such termini, together with the trackplan for his own layout. You can see the various influences at play, but this is an area where someone like Iain Rice would have drawn in the particular features that went into the creation of a very plausible model. The LYR double track branches of the size under consideration were typically arranged with but a single platform face, usually, but not exclusively, on the left hand side of arriving trains. Arriving trains would have no “facing turnouts” and departing trains would have a single facing point lock to traverse, to gain the correct running road. Horwich was an exception to this, with a facing crossover traversed by arriving trains, and a facing point lock required for trains setting off. The railway was not averse to using slip crossings (single and double) and tandem/3-way turnouts. Many of the branchlines were not very long compared with many railways (they were serving a relatively densely populated part of the country) and the LYR long had a practice of concentrating its engine facilities at major depots. Thus, many lines had no engine shed or no turntable, or if they did have them, they were closed or removed, in the case of sheds often prior to the 20th century and for turntables either then or during the 1930s by the LMS. These are all very defining characteristics of a LYR branch terminus: ignoring the obvious exceptions (there are always some!) it probably had the most stylised track layouts for its branches. No two perfectly identical, yet all obviously belonging to a single company. The common features, and how they influenced the design of Eccleston, are worthy of more print, showing the commonalities and how proper study of a prototype railway pays dividends in creating something believable if not modelling an actual location. Furthermore, this leads to more interesting insight into prototypical operations and hence could have avoided a clanger being dropped by the author, for he laments the lack of carriage sidings for the specific storage of passenger train stock, meaning that his passenger trains have to arrive, run round, and depart to free up the only available road for arriving trains. Lets be clear about this. Carriage sidings exist for the storage of passenger rated rolling stock, to get them out of the way of regular services. They will only be provided if the regular services would suffer in their absence. So they proliferated at holiday resorts: Blackpool Talbot St. (now Blackpool North) had an array of sidings for storing arriving stock from excursion trains, enabling more to be accepted at the station and also allowing for any required attention, such as emptying rubbish bins. 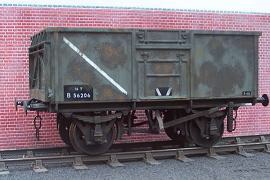 They are also found near major depots, and sometimes on small branchlines if there is limited space elsewhere at the station, or because the branchline was built by a small independent company, who wanted somewhere to store and protect their capital investment (such as at Watlington, on the GWR). The LYR by the time of Martin’s layout had long established that it was more flexible and more economical for branch trains to start and end their working days at a major station/depot (sometimes beyond the junction with the mainline) and if the engine wasn’t kept at the station overnight, then there would be no need to keep the carriages at the terminus, even if left at the platform face, and definitely no need for specific storage. No, a real railway would simply place carriages from an arriving passenger train out of the way in the goods yard until the platform was free of other operations. Indeed, Martin has a perfectly suitable siding, next to the run-round loop, on his layout, as was present (based on the photograph reproduced in the book) at Horwich, but which is not in his sketch of the station layout. I am further mystified as there is a picture taken at an exhibition in 2014 which clearly shows this happening! A couple of other points. The working timetable (WTT) for the Holmfirth branch is illustrated and dissected. Unfortunately, footnotes appear only below the departures from Holmfirth, not the arrivals, and it is hard to get a view of the balancing movement, as indeed Martin points out with respect to a through coach. We know where is is going, but not where it came from (presumably the same place) or when it arrived. Would it not have been better to have used a more complete example, either a different period or a different line? More importantly, there is an explanation of the use of block instruments, bell-signals and single line working tokens, but they would benefit from a couple of paragraphs explain the correct procedure for their combined use. This only needs to be a simple example, between two cabins: one for the model station, and the other for the fiddle yard. Once these basics are understood, then it is a case of “pass it on” down the line. As I said, the book sadly brushes the surface – which it does set out to do – but does not go quite deep enough. I agree with the recommendation to find out more about a particular line of interest to you, and to consult some of the standard works on British signalling practice (although do be careful, as some written for modellers by modellers – even those who spent 3 years firing on the footplate – are prone to errors of interpretation). If the book had gone just a bit further, if it had not been written from a position of wishing to avoid offending the reader by adopting a “finescale” stance, then the standard works on signalling would not be required. As it stands, I fell more inclined to recommend “British Railway Signalling” by Kichenside and Williams instead, despite it being a rather technical piece. Disappointing: it could have been the perfect guide to how a real railway worked. If you still want something which is too superficial, it does have some nice pictures. Interestingly, I also had a copy of Wild Swan’s new book by Gerry Beale on the Bridport Branch. Apart from the typical aversion to anything beyond the briefest of mentions of the post-steam history of the line, this is a lovely, warm work. This entry was posted in Literary Criticism, Modelling, Prototype on December 28, 2016 by Simon. Is your goal really a gaol? There is a perception that model railways, unlike other modelling hobbies (with the possible exception of slot-car racing and its more recent digital descendants) is not so much about individual models, as about layouts. It is true that many engines are modelled in their own right, and put on display shelves, and the same is true once in a while for carriages and wagons, but generally speaking, if you are modelling railways, then you need a layout because, well, it will have a railway on it. This leads to some interesting consequences. For those who are concerned with the overall layout, then they are happy with the overall composition, and indeed may simply want a setting on which to run model trains. If you pick up the “mainstream” magazines, you will see examples of this, each with varying degrees of realism. 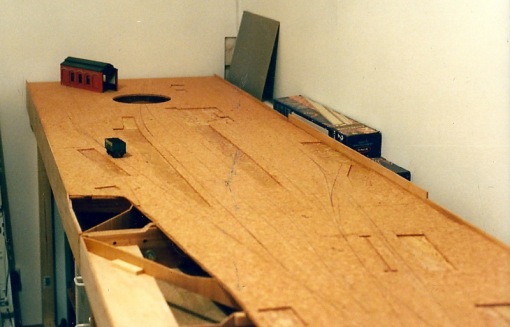 But for many, a layout is the ultimate goal, and if space is not available for one, then maybe a micro-layout (less than 4 square feet in area) can be built for a shelf somewhere, or stock acquired, assembled and built towards that future date when maybe the kids leave home and a large room becomes free. The example above, East Lynn, is a rare exception to this rule. It was built for exhibition purposes, and everything you see in the photo was built by one man (Trevor Nunn), mostly from scratch. So here’s a thought. Maybe a layout is the ultimate gaol, not the ultimate goal we are often led to believe? This thought came to me – and sorry about that terrible play on words (which came about serendipitously* by a typing error on “ultimate goal”) when I was reviewing some of my modelling activities of late. And before you ask what activities they may be, let me answer the point for you: not much to show for the past 10 years or so. This has partly been due to the usual matters of growing family, growing job demands, etc, all leading to growing tiredness, but let’s be honest. That is just an excuse. I have spent plenty of time in front of the television, a computer, or just doing not much in an armchair. I have had time, and sometimes I quite possibly had the energy, but a kind of ennui has crept in, and it is all because of one thing: a layout. Yes, a layout: supposedly what railway modelling is all about. So, for twenty years I have attempted to come up with a layout design which worked for me. I did, in fact, do this very quickly and even got as far as making the baseboards and cutting, staining and laying all of the sleepers and timbers, when I discovered that I had made a mistake in the construction of the light weight boards. I was using 6mm ply, with cross bracing, etc. That was fine, but when I laid the tops, I put them on concave rather than convex, so rather than the middle being pulled down to the longitudinal strut I had thoughtfully included, the middle pushed this strut downwards whilst the glue set – white glue is a pretty good lubricant until it has set. When I came to lay the rails, I found that there was a peak at each baseboard joint. That was a week’s vacation wasted! It was almost certainly recoverable, but in truth, I was having second thoughts about it. To run a reasonable service, it needed far more engines and coaches than I had. (I haven’t mentioned wagons as building these is always a pleasure.) 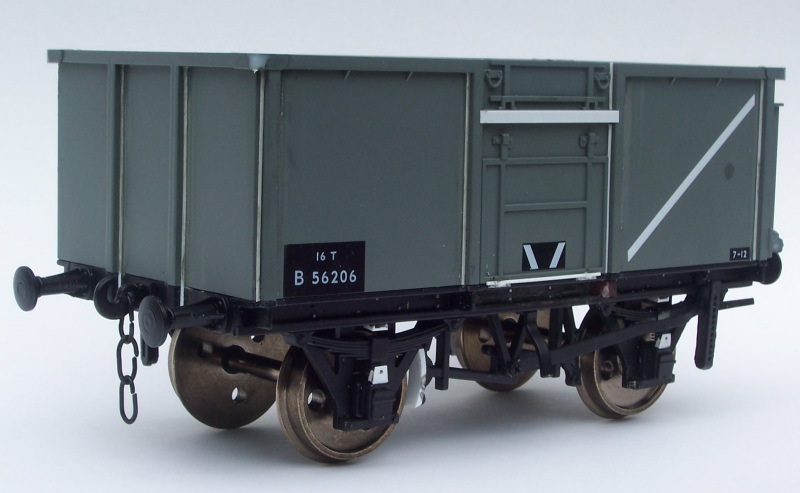 I found the prospect of a layout and all the stock I had to build daunting, so I kicked a few ideas about, tried out a wagon or two in “Scale 7”, and built an open wagon to 1:32 scale. Of course, some would simply see this as a set of projects within a larger plan, but 15 years ago, I was 15 years younger and didn’t want to wait until I was in my 50s to have all that! (Instead of which I have a lot less to my name than if I had got on with it, of course.) But it is these wagons that I want to talk about. I decided that for a variety of reasons (principally the lack of the easy mental arithmetic I was used to with S scale, I mean, 7mm to a foot? What does that make a scale inch? 23 thou? Oh come on. 1:43.4527… Oh dear. No logic to this) that having built a couple of “quick, cheap and simple” wagons to Scale 7 standards, it was not what I was looking for. And they weren’t as quick, cheap or simple as I thought. Once I had provided compensation, sprung buffers (on the kit which had plastic mouldings only) interior detail, and filled the gaps in the corners, I realised I had saved little time using the kits over starting from scratch, which was another disincentive. So I turned to gauge 1, or at least, to the 1:32 variant of it. (And a note to the NMRA: this is not “G scale”. G scale is – or was – clearly understood as models of metre gauge prototypes to a scale of 1:22.5 or thereabouts running on Gauge 1 track. Everyone in the world – including the USA – knew and understood this. Apart from the NMRA.) Linearly, this is twice the size of S, but actually 8 times the volume, so models have real presence, as the placing of an S scale body inside a gauge one body (identical prototypes) makes clear. I decided to model British Rail in the “early blue” era, where the corporate image was asserting itself, but the railway was still shaking off practices handed down almost since the days of the Liverpool and Manchester Railway 140 earlier. 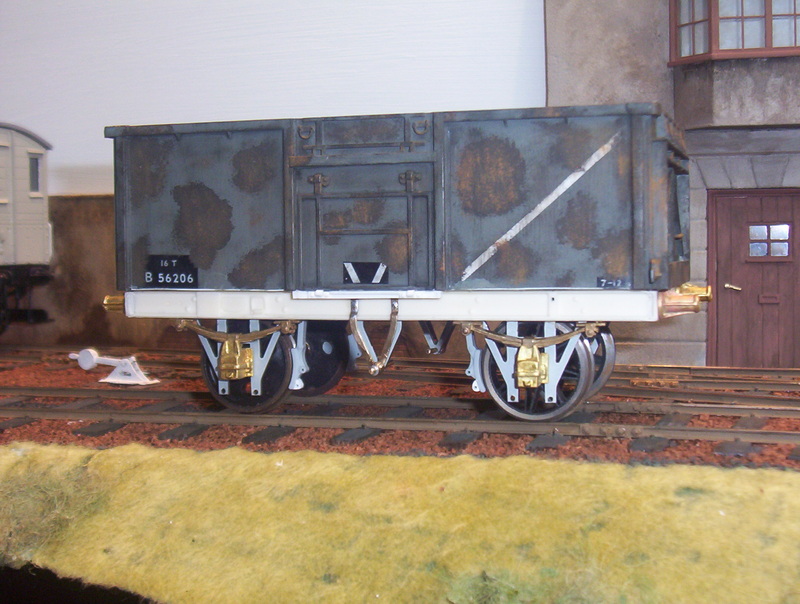 With thoughts of a small “shunty plank” I decided to start on a wagon, to get a feel for the scale. Using mostly styrene sheet, with a few castings, it progressed in fits and starts. Basic body up on its wheels fairly quickly, then the underframe details. I couldn’t get wheels to the published “finescale” standards at the time, so I turned down some rather coarser wheels to true scale dimensions. Then nothing much for several months, then I added the ironwork details and representations of bolt heads on both ends and one side. Then nothing for another 9 months. Finally I finished it off – it took all of 45 minutes, I think, and started painting it. Undercoat of acrylic red for the most part, white for the interior, then Humbrol paints: 113 for the body, matt black 33 for the underframes, and some 0 scale decals for the lettering, courtesy of my father-in-law. Then the weathering started. This was nothing more than a series of washes, again Humbrol, using the body colour, a dark grey (“tarmac”, I think) and on the unpainted wooden interior, a couple of washes of a cream colour to make the wood pale rather than white, and one of a red, to add a little warmth. The final wash was some “Metalcote” gunmetal over the whole thing. This brought out the relief detail, and also meant that some final dry-brushing would burnish the finish. At the time, Barry Norman lived relatively near, and a small group of S Scale MRS modellers used to meet up for a curry every so often, and he happened to see it, took it away for some pictures, and I was surprised to see it given prominence in MRJ issue 160. I also amended some of the omissions and errors (couldn’t do much about the fact that the model was shorter than it should have been and the wheelbase was off-centre!) on a recently introduced RTR model. The white bits are the additions, and you can’t see all of them! 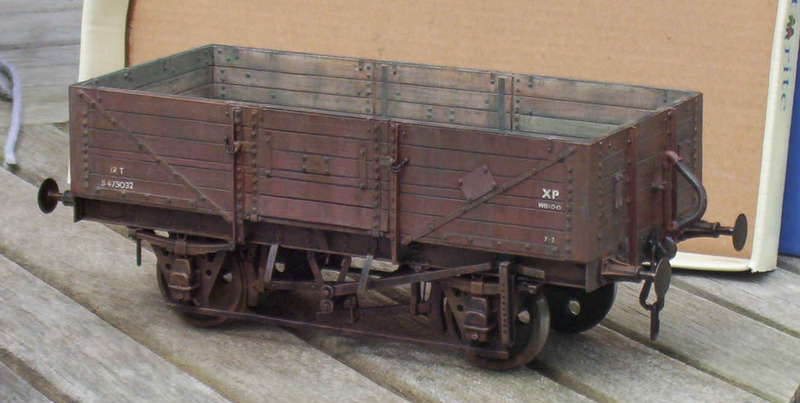 I also built an excellent new kit for a “private owner” coal wagon – the painted model presented in MRJ issue 175 was not my work, but that of the talented Adrian Marks. This was made clear when submitting the photos (the unfinished model photos were of my work), but my request for a correction was never put into print. So, what of the gauge 1 layout? Well, it isn’t going to happen. But I built a small display stand for the wagon, using a piece of ¾” board and a few materials. That is it: 100 square inches of layout! And the great thing is, that’s all it needs to be. This has made me realise that once in a while, building a single item in another scale may be enough to lift any clouds of indecision (analysis-paralysis over layouts) and it can stand as a model in its own right: there doesn’t have to be more. * So look it up, including the etymology. That goes for all those who mis-use it, too! This entry was posted in Layout, Modelling, Opinions, Thinking on August 25, 2016 by Simon. [B]eware: excellence and perfection are too different beasts: excellence is achievable while perfection isn’t. Too many people stall in the design process because they want to attain a chimeric perfection. Excellence has more to do with practice making you “perfect”. This entry was posted in Modelling, Opinions, Shout out on July 14, 2016 by Simon. Chris Mears has made an interesting post – not that he does any other sort – picking up on discussions about what it would take for P87 to become established in North America. My understanding is that “code 64” wheels and P87 wheel and track components are available for freight and passenger cars and diesel engines, but steam is a different matter. Also, it isn’t just about the wheels and the track: with scale wheels, the truck frames can – and arguably should – be brought slightly closer together. In a reply to Chris’s post, I touched on the fact that what it needs is for someone to actually get on and do it. The biggest obstacle seems to be fear of becoming a “lone wolf”, unable to run stock on friends’ layouts and vice versa. That is a poor excuse, as most of us have more equipment than we need, so why not have a few extra items to the other standard? This enables the P87 modeller to run finely detailed engines elsewhere, and encourages the H0 modeller to have a go at P87. For passenger and freight cars, it may be as simple as having a few spare trucks and swapping them over now and then. I can think of several possible subjects which be ideal candidates for a reasonable P87 layout that would not be too demanding, yet interesting enough once built to enjoy operating them. Some are real, some are models, and some are inspired by the approach taken to modelling a real location. All bar one have relatively few turnouts and require little in the way of equipment: if modelled in the diesel era (which might be stretching things a little for a couple of the suggestions) then re-wheeling would be neither expensive nor time-consuming. The obvious candidate would be Port Rowan, or Port Dover: already done in S as we know, but in the same space a model of Port Rowan station could be modelled more or less to scale length, with a longer tail track than Trevor Marshall could accommodate. A couple of Eastern Seaboard prototypes come to mind, partly because I have already mentioned them on my own blog, are the North Stratford RR and the Edgemoor and Manetta. For a trio of Proto-freelance layout ideas, two small and one moderate – and the small layouts could be connected to the moderate – then I think there is serious potential in some (or all, if you are brave enough!) of Mike Confalone’s Allagash Railroad. The rickety track and backwoods nature of what is now the Andover branch is a great starting point (the video demonstrates the rapid starts and stops of an Alco RS3, together with DCC sound). 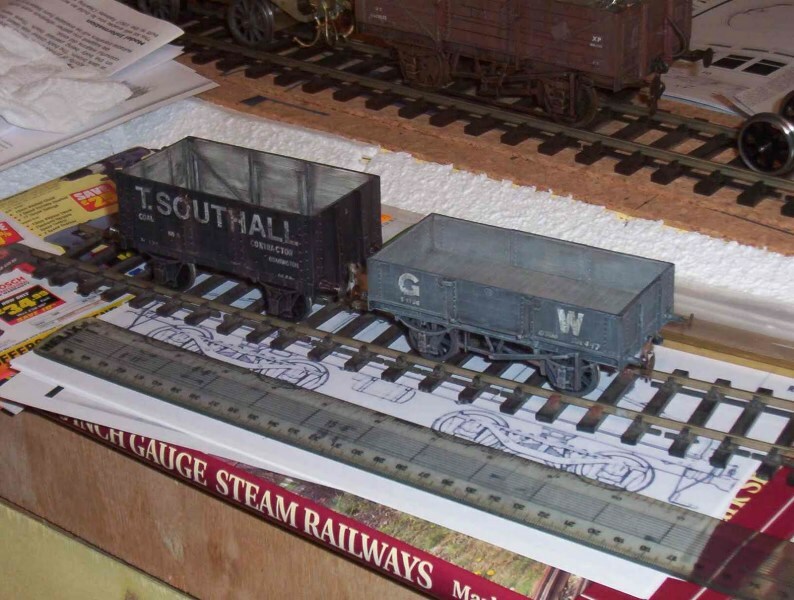 The original “Woodsville Terminal” layout, being a long, thin shelf, is relatively straightforward to fit into a house, or as a portable layout built in sections: UK practice would fit this onto four sections 48″ long, pair for storage face-to-face. The Regis Paper mill at New Portland is anther candidate for a small but satisfying start in a limited space. But New Sharon Junction, with the branch and the yard, wold make a great centre-piece for a moderate layout in P87, especially if there were a few yards of carefully crafted scenic running either side of the main station, and if there is room for the branches for pulp wood (off the “Atlantic” branch on the plan) and the paper mill (as is, coming off Carrabassett Junction) – indeed, one could supply the other. Staging at each end for a small number of trains would provide for a very satisfying scheme, capable of leisurely solo-operating (one train at a time) or a handful of friends coming round for a full-session with trains on the main, the branches, and a switch job in the yard. He has published some e-books, available from the MRH site, which I can thoroughly recommend (usual disclaimer). Finally, what about Ryan Mendells’ Algonquin Railway? A perfect example of a layout design which could be used for a P87 layout. 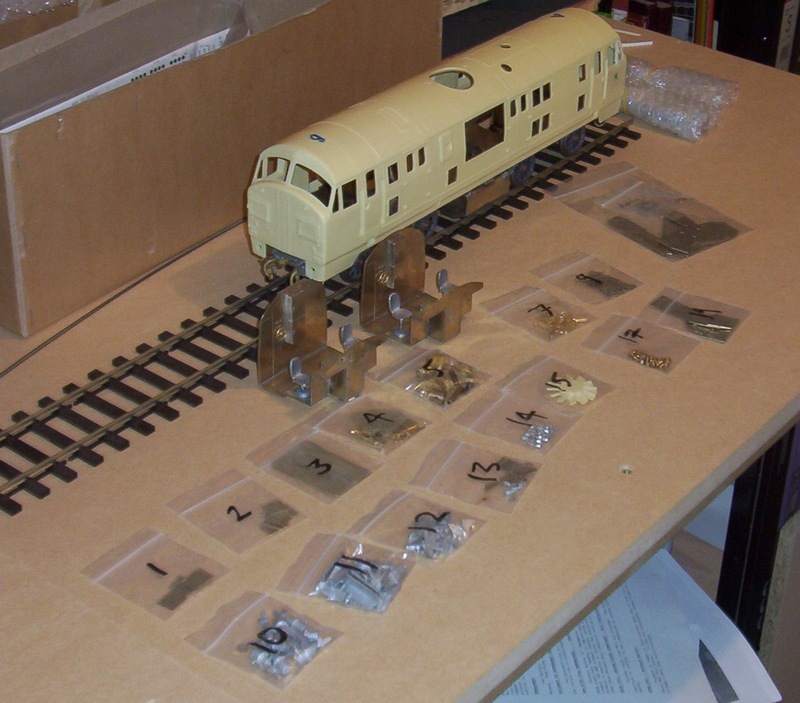 The only thing a P87 requires more of than a “standard” H0 layout is time: a few hours extra to build the turnouts and plain track (if ready to lay flexi is not acceptable – it can always be replaced, piecemeal, at a later date) and a bit more time putting in new wheelsets. But even the latter is good practice, standardising on a single tyre profile is the first step to better running and using P87 sorts that out – otherwise, it is better to standardise on a single manufacturer and make sure the track matches it (so doing it properly probably requires hand-built – or at least hand-tuned – turnouts anyway). All the extra detailing is likely to be of interest to anyone prepared to consider P87 in the first place. The rewards are immense: a railway that looks and runs like a real one. So, what is really holding back P87? I suggest inertia, not of the physical kind, but of the psychological variety. This entry was posted in Finescale, Modelling, Opinions, Shout out on March 30, 2016 by Simon. The prototype was a very short, short line about 2.3 miles long which ran from an interchange with the SAL at Edgemoor to the Mannetta mills at Lando (Manetta Mills owned the line). There is a cracking website devoted to it, which also includes a link which opens up a very interesting article. The line even managed to have a plate bridge over a river (with timber trestle approaches, which collapsed at least once!) In short, it had one of many of the features modellers look for. Trains latterly consisted of a Porter 0-4-0 tank engine, hauling up to two freight cars at a time! 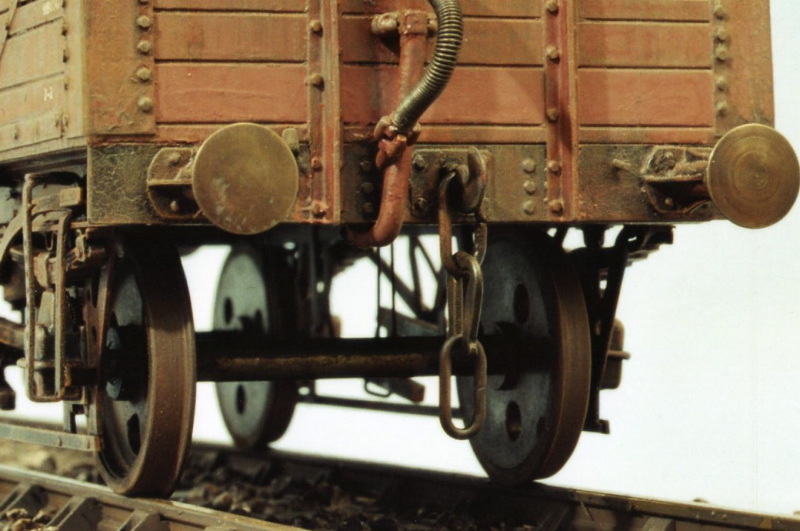 Freight was primarily coal in, and blankets out, generally requiring hoppers and boxcars. Trains were worked with the engine at the Lando (terminal) end: pushing up the hill to the interchange – sometimes pausing half-way to pump up more air – and pulling down to the mills. When delivering coal, the engine was trapped at the end of the coal ramp spur whilst the hoppers were emptied; coal was also delivered to the boiler house in the same manner. The engine itself was coaled by shovel, from a roadside truck whilst standing on the loopneck at the end of the line. The railroad also owned a flat car which never left Lando: once the day’s switching and shifting was done, it was left between warehouses separated by the tracks at the start of the loop to act as a platform allowing access between them! It had to be pulled out of the way at the start of the raiload shift, and put back at the end. The mills worked three shifts in 24 hours, but the railroad only operated for one of them. At the interchange, empties and deliveries were dropped off by passing ACL/SAL freights, which collected loaded cars and empty hoppers which had been left on the house track at Edgemoor. In earlier times there was even a passenger service, and the line ran with 0-4-4T and 0-4-2T power. Scope here for an interesting scratch build! It was the last steam-worked non-tourist line in the USA, but operations ceased in July 1975 when the engine failed its boiler inspection. Trucks took over, and that was more or less that, although the loco was still there nine years later! With a requirement of a small loco (it might be possible to use the old Rex loco as a starting point in S – anyone have one for sale? ), half-a dozen boxcars, a couple of coal hoppers a gondola, a flat car and maybe a tank wagon, this would not be a difficult line to equip. I have sketched out an idea for a 12’8″ x 8’10” spare room, designed to feature most of the features of the line. Although I have had to come down to 42″ radius curves, I have used number 8 turnouts as even with a small engine and 40′ long freight cars, this simply looks better than anything tighter. If anyone wishes it, I can supply the plan as a Templot file, or – if you let me know the paper size – as a pdf for printing. There were warehouses both sides of the loop, the spurs served the coal traffic. Finally, the Arcadia Publishing book, “Lando”, by Pual Scott Williams of the Lando-Manetta Mills History Center (2007, ISBN 9780738552682) has a lot of information, including the Sanborn Insurance map of the Manetta Mills and railroad tracks at Lando. 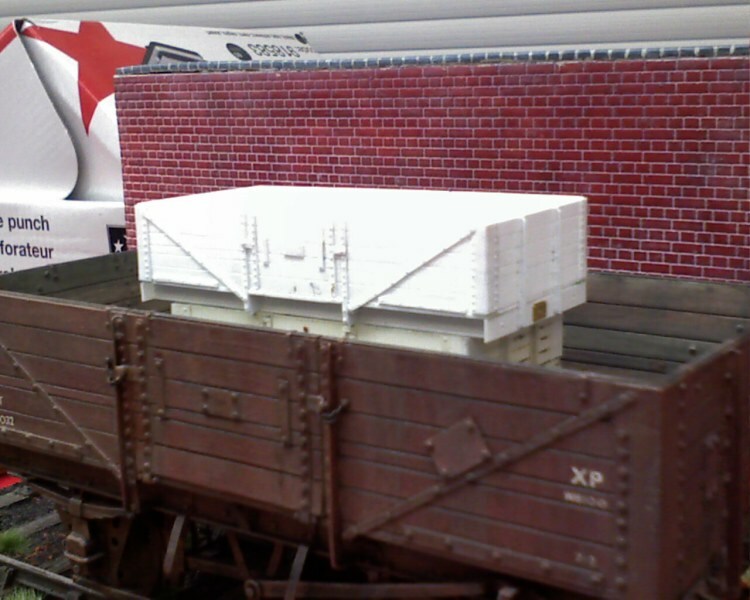 This entry was posted in Historical, Layout, Modelling, Prototype, S Scale on February 29, 2016 by Simon.